All are welcome at Sunnyhill! Please come visit us at 1240 Washington Rd, Pittsburgh, PA 15228. To reach the minister or Religious Education and Membership staff, please call our church office at (412) 561-6277 send an email to admin@sunnyhill.org. Our facility is available for rental. Email rental inquiries to admin@sunnyhill.org. Please check staff office hours before stopping by Sunnyhill! OWL is a sexuality education program that UUCSH offers to children in grades 4-6, 7-9, and 10-12. Children are taught in separate classes by two Sunnyhill members (one male, one female) who have completed OWL training. Parents who wish their children to participate are required to attend an informational meeting. OWL Classes are offered at Sunnyhill on a rotating schedule. The information below is also available at the Unitarian Universalist Association (UUA) website. OWL is a series of sexuality education curricula that helps participants make informed and responsible decisions about their sexual health and behavior. OWL equips participants with accurate, age-appropriate information in six subject areas: human development, relationships, personal skills, sexual behavior, sexual health, and society and culture. OWL provides facts about anatomy and human development and helps participants clarify their values, build interpersonal skills, and understand the spiritual, emotional, and social aspects of sexuality. OWL curricula are based on the Guidelines for Comprehensive Sexuality Education produced by the National Guidelines Task Force, a group of leading health, education, and sexuality professionals assembled by the Sexuality Information and Education Council of the United States (SIECUS). OWL covers topics and skills that both parents and students want to have available but schools are less likely to cover. Although developed by two religious organizations, OWL contains no religious references or doctrine. 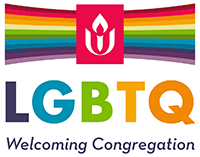 Religious references are provided in a Unitarian Universalist and United Church of Christ companion publication, Sexuality and Our Faith.